The pervasiveness of the internet and social media have given rise to previously unimagined advancements in marketing analytics and customer insights. Correspondingly, the role of Chief Marketing Officer now demands the ability to speak a quantitative language. 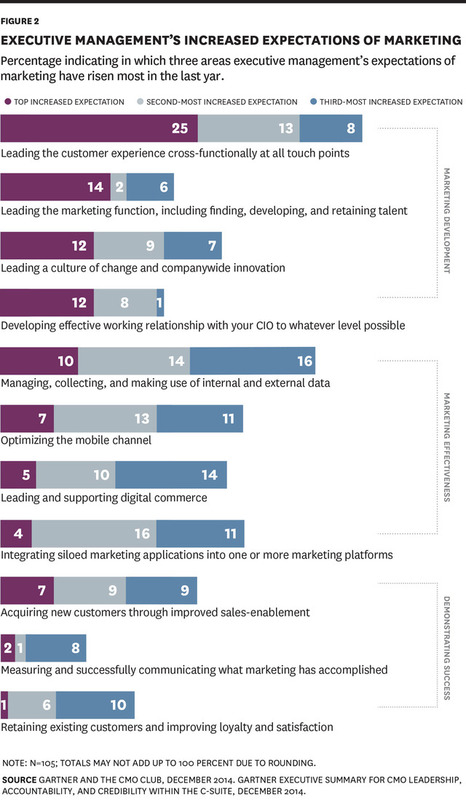 The CMO also has greater importance, becoming critical to strategy, and to the CEO’s success. The world of marketing is forever evolving and innovating. The pervasiveness of the internet and social media have given rise to previously unimagined advancements in marketing analytics – systems for social media and content management; marketing automation platforms; customer-facing apps and web tools; and customer relationship management software – and in turn, exponentially increased companies’ ability to identify their customers and anticipate their needs, wants and preferences both online and off. The availability of so much data means that the past, qualitative model of marketing, based on creativity, instinct and consumer savvy, is no longer enough. To stay competitive and, in fact, surge ahead of their competition, marketing professionals must speak a quantitative language – which entails being active in collecting data, fluent in analysing them, and skilled at translating their implications into actionable strategies. Simultaneously, customer experience is emerging as a leading driver of brand affinity and financial success. Marketing departments and the information they command are making the discipline and the individuals within it new, powerful and strategic drivers of business. As the leader of all marketing activity, a company’s Chief Marketing Officer (CMO) must be the first adopter and the guide for his or her team in this increasingly complex landscape. Marketing, more than any other function, must champion the adoption of these practices. In this sink-or-swim environment, the success of the CMO is dependent upon how effectively the company makes the transition. While CEOs, CFOs and CIOs have historically had highly quantitative jobs, the duties and the success of a CMO have been attributed to softer, more qualitative skills. With the increased ability to quantify marketing targets and outcomes, the effectiveness of marketing activity has become more tangible – and consequently more scrutinized. The CMO is now increasingly required to justify strategies and demonstrate concrete results. Even though this challenge is timely and widely acknowledged, wholly three quarters of respondents reported that their organisation does not use marketing analytics as much as they would like. Frequently, tools to collect data and a team capable of analysing and effectively using the data to achieve results are cited as reasons for this lag. Less than half say they have staff with the skills to make effective use of analytics; however, many plan to increase their reliance on outside partners for analytical and other support in the coming years, rather than cultivating the capability from within. This is a significant shift, but even with the spending already in place, it is clear the marketing industry lacks confidence in its ability to employ the technologies at their disposal. This begs an important question: If digital marketing is so important, why aren’t more CMOs pursuing the skills they need to do what is arguably the most important aspect of their jobs? Technology and analytics teams have historically been considered isolated entities, but with the growing interdependence of marketing on analytics, the two are breaking out of their respective silos and, together, becoming an integrated part – and in many ways the driver – of the organisation’s activities. The need to select and implement marketing technology that will benefit the entire business underscores the common refrain for more collaboration across all senior leaders and their teams. The CMO’s job, in part, is to lay the groundwork for this collaborative approach. Complexity must give way to agility: Rigid organisational structures limit a company’s ability to adapt to its customers’ ever-changing behaviours. The more cross-level and cross-functional partnerships there are, the more nimble and capable the organisation will be to roll with the tides and evolve with their environment. Everyone must mobilize around a single vision: Leadership must ensure that all employees – in every function, at every level, and across geographies – are inspired by and act in accordance with a common set of priorities. Engaged employees mean better customer experiences, and better customer experiences mean strong, loyal customers. Collaborative environments breed innovation. The more silos are torn down, the more free exchange of ideas will naturally occur. This cross-pollination will introduce and cultivate new concepts, programmes and processes, both within marketing and in other areas across the business. Inspiration can now come from outside the organisation as well. CMOs have the power to harness first-hand insights provided by customers themselves to set priorities and inform what the company will invest in next. The insights into consumer behaviour, sales metrics and other data CMOs wield can inform and benefit all other senior leaders across an organisation. Traditionally, marketing professionals came up in the professional world by joining an organisation out of business school and working their way up the corporate ladder. This granted marketers exposure to multiple brands and the different ways in which each brand approached the discipline. The CMO of the future is taking on a new shape. 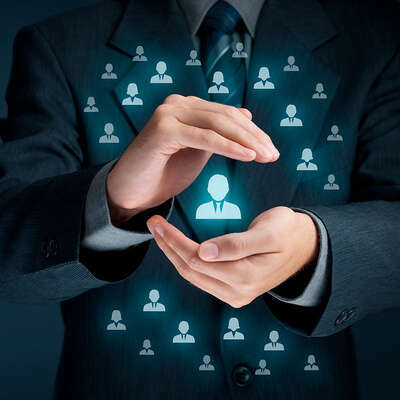 With the proliferation of data analytics and the power this tool gives CMOs to inform important business decisions in a customer-centric marketplace, he or she must assume the role of an overall business leader. This means being cross-disciplined, and working with the CEO, directly and often. Importantly, CMOs must continue doing what they have historically done. This includes being a strong communicator and an inspiring leader – both internally, to keep employees engaged and invested in providing the best products and services to customers, and externally, to ensure that marketing strategies are being properly executed and are in sync with how and where customers consume information.26 Communication in this sense includes both 1) effectively leading and cascading messages to the right audiences, and 2) listening to these audiences and internalizing the feedback they receive. Being a strong communicator also encompasses building and maintaining strong partnerships – with other senior leaders, and in many cases, with outside software and service providers. The CMO of the future must embrace change. They must be an agent for change in many ways, to break down silos within the organisation, encourage collaboration and implement new marketing practices, and roll out new digital technologies across the organisation for better data collection. By understanding the value of diversity and collaboration, the CMO can create an open environment in which change is a process, something that is organic and progressive, rather than something that is forced upon the organisation. Along with an eagerness to learn and adapt comes the quality of patience; understanding that change can be difficult, but that when undertaken properly, it can also be sustainable, and will even pave the way for future changes to be made more easily. Further, CMOs must possess emotional intelligence, as their job will necessitate collaboration with and the ability to influence the decisions of many different groups, from their C-suite colleagues to other functions such as IT sales and customer service, board members, customers and many others. This will also be an asset in their role as a driver of change. The CMO of the future must learn quickly and have an affinity for data. CMOs will increasingly come from IT management or software development backgrounds, making them naturally inclined to embrace new technologies and understand the stories data can tell, while having a specific interest in how data can inform marketing and business strategy.28 Ty Shay, CMO and Growth Advisor for LifeLock, for example, tells Boyden he attributes his success in the marketing realm to his heavily quantitative focus, specifically with respect to customer acquisition and driving revenue. Overall, the CMO of the future will be far more strategic. Now that outputs can be quantified, marketing is increasingly being seen as a revenue-generating function rather than a cost centre, and more broadly, as an accountable and significant contributor to the success of the business.29 CMOs will have the ability to collect, maintain and analyse large quantities of data, translate their insights into meaningful, revenue-generating solutions, identify and help realize efficiencies, and enhance marketing capabilities throughout the organisation. CMOs have greater agency to affect the business in a material way, from digital strategy to customer service approach. CEOs increasingly want a CMO to be a partner in leading and growing the business. CEOs look to CMOs to support a culture of innovation. In a study by Boston Consulting Group, executives reported their biggest obstacles to generating a return on innovation investments were lack of collaboration within the company, risk-averse cultures, ineffective marketing and communications, insufficient support from leadership and management, and not enough customer insight.32 Many, if not all of these, are realms the CMO of the future not only touches, but has the ability to drive forward in a significant way. Overall, the perception of the CMO role has changed from a communications-focused role – sometimes considered “fluffy” or limited in scope – to one directly relevant to every part of the business. Dr. John Cripps is founder and CEO of Marketing Decision Science and has more than 20 years of marketing consulting and industry experience. His firm’s client work spans technology, financial services & insurance, retail, consumer products, healthcare, and media & entertainment sectors. Cripps is a leading expert on the application of marketing science to strategic marketing decisions and scientific measurement and optimization in marketing. He has served as a professor at London Business School and in corporate roles overseeing marketing science and decision analytics at Fair Isaac, Fireman’s Fund Insurance, and Esurance.com. Boyden: What have been the biggest changes in marketing in the last five years? Cripps: There’s been a surge in decision inputs all around big data, marketing analytics and data analytics that’s very real, albeit my perspective is slanted around the science of marketing. All of a sudden, CMOs now feel like they really do need to be accountable, and so they’re increasingly seeking to quantify a lot of their decisions. In many cases, a CFO exerts pressure on the CMO to justify the $50 million or $100 million marketing and advertising budgets and to more specifically account for their allocations. Boyden: What other edicts are coming down from CFOs? Cripps: With the influx of big data or data analytics, CMOs often need to forge stronger relationships with their CFOs and CIOs. Very often the CIO is not the repository of the analytical skills required to help make marketing more scientific and accountable, but he or she has all the data. Also, the CIO has the flexibility in budget to pay for the needed software, which can amount to hefty sums. So, the CMO, CIO and CFO are forming an axis and deeper relationships. Boyden: How do you see the structure of the marketing department changing? Cripps: In the context of data analytics and big data, marketing groups are now building home-grown marketing analytics functions at a faster rate. For example, over the last three years, Facebook has built an enormous marketing science practice to support its clients in making better, smarter decisions. So, that formalization of marketing analytics is a big thing, and it’s increasingly a line item within the CMO’s purview now. Boyden: Is there going to be a role for the CMO who does not embrace data analytics or whose quantitative skills or knowledge of these types of applications is lacking? Cripps: Well, they have got to be increasingly worried. While I don’t think this is going away, I also think it’s getting a little more disproportionate attention than it deserves right now. All these things happen in waves and so big data is getting a lot of hype right now. However, any CMO that doesn’t try to embrace it is going to get more and more marginalized. Boyden: In terms of analytics, do you see any particular differences between industries or sectors? Cripps: The market and the appetite for advanced marketing analytics are much strong and further ahead in Europe and North America by far. In South Asia it’s coming along, but much more slowly. It’s being led by the bigger markets there, specifically China and Japan, because the budgets are bigger. In terms of sectors, Silicon Valley companies, whether they’re B2B or B2C, pretty much think very quantitatively, and generally have a strong understanding of marketing attribution. And going back a couple decades, banking, telecoms and big consumer packaged goods companies have been the most sophisticated. Retailers have not been particularly good in marketing attribution, but they getting better fast. Boyden: Is it relatively easy for a CMO and other senior marketing executives to jump across sectors? Cripps: Yes, I see them moving across industries pretty frequently, but they usually stick within B2C or B2B. And technology company CMOs often stay within the industry. The average lifespan of a CMO on the job is 18 months, and largely that is because competent CMOs are in high demand. CMOs cannot execute against these elevated expectations on their own. To do so successfully, they will need to demonstrate their value and work effectively with other members of the C-suite. As discussed, buy-in from and close collaboration with the CEO are essential, but in making hiring decisions, the entire executive team should acknowledge that the CMO is someone with whom they will collaborate closely. Ultimately, compatibility will be a significant factor in determining which candidate earns a seat at the table. In some cases, digitization of the business – which often encompasses myriad aspects, from ecommerce to compliance and record-keeping, marketing and customer service – is allocated to a specific individual, sometimes titled the Chief Digital Officer or Chief Technology Officer. This role frequently reports to or works closely with the CIO. In such situations, the CMO must work especially closely with this individual, to ensure that cross-functional strategies align and are clearly communicated internally, and that each function’s strategy also ladders up to the company’s broader business strategy. Significant infrastructural changes must take place to transform the marketing function and mobilize a company around an integrated marketing strategy, and the reality is that these changes are expensive to implement. Technology is key, and companies often enlist outside counsel to help bridge the knowledge and manpower gap needed for complex analytics, deep social engagement and other new capabilities necessitated by a digital strategy. Since the CFO has oversight over the investments made by a company, it is essential that the CMO work closely with the CFO (with support from the CEO as well) to explain the rationale for certain investments, secure the necessary funds, and plan for additional investments appropriately. Because the CMO of the future is an agent for change, within companies that have a Chief Human Resources Officer, partnership will be important to communicate effectively and consistently to internal audiences, and position the company for seamless transitions. Change is difficult, especially in complex organisations, but information is power. The greater the cooperation and alignment between the CMO, HR function and internal communications department, the higher the chances of success in making the organisational, technological, skills, culture and process changes needed to craft a company that puts customer insights at the heart of everything they do. Notable chief executives such as Joe Jimenez of Novartis, Mark Hurd of Oracle, Sir Andrew Witty of GlaxoSmithKline and Jeff Immelt of General Electric – all of whom cut their teeth in sales and marketing roles – stand as clear indicators that the landscape is changing.36 While these are just a few high-profile examples, it is clear the number of CEOs that come from marketing backgrounds is likely to rise as more CMOs harness the power of data analytics and assume greater ownership of their companies’ overall success. 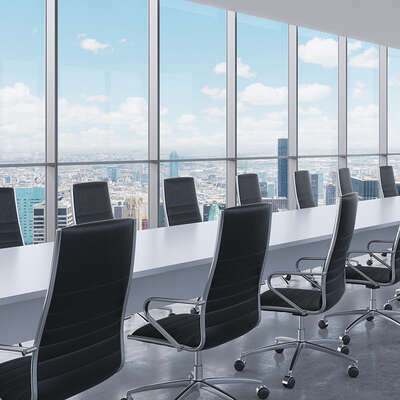 In the same way CMOs are recognizing a new path forward in light of their new responsibilities, a similar trend exists in the increased potential for CFOs to become CMOs. Transferrable skills between the two are becoming ubiquitous as businesses become increasingly data-driven and strategic. The CMO of the future is a strategist, a connector, and a risk-loving analyst with an affinity for data.38 As the proprietor of deep insights into customer experience, the CMO is a unique cross-functional link that has the power to drive the business forward in a way no other executive can. But this can only be achieved if the CMO has the right skills for the job. With great power comes great responsibility, and with great responsibility comes boundless upside potential for the fully integrated CMO. Macmillan realized that the key to transformation of the customer experience was mobile technology. Deploying it would entail moving from an entirely paper- and phone-based business to one whose customer experience is fully manageable via a proprietary mobile application: Retiready. Similar to how a wearable fitness device provides information on one’s physical health, Retiready employs a complex algorithm and extensive data analytics to provide customers with real-time assessments of how financially “ready” they are for retirement, based on goals they’ve set for themselves. Aegon also employed data analytics internally, to ensure that both their innovation process and marketing strategy were informed by customer insights. The company’s comprehensive rethink also led to significant cultural change. The shift required internal processes to be streamlined and customer-facing information to be simplified “within an inch of its life”, as Macmillan says. With greater access to their retirement savings information, customers rapidly became more interested in how things worked and where their money was invested. Aegon needed a way to explain its workings in terms that customers could understand. This meant answering important and very personal questions. As they found new ways of thinking about the business they were in, Aegon employees adopted the values “simplicity”, “reassurance” and “rewarding” to help guide them through the company’s transformation. These tenets were especially helpful in driving the success of the Retiready mobile app. In 2013, McGraw-Hill Education, a company with 125 years of history-making academic textbooks, was purchased by private equity firm Apollo Global Management (AGM). Soon after, the company experienced major management changes, including a new CEO and a new president of their international division. With a renewed focus under the management of AGM, and the possibility of an IPO on the horizon, the company brought in Chris Marjara, a seasoned marketer with a background in the software and IT space, as its Chief Marketing Officer. His mandate: to take McGraw-Hill Education from a traditional textbook publisher to a leading provider of digital e-learning solutions. Marjara described this journey in an interview podcast hosted by Sales Benchmark Index. He focused a great deal of time and effort on ensuring that the company had the right talent on board; namely quick learners with a customer-centric mind-set, who could evolve along with the company itself. He also made strategic investments in technology. Marjara’s background in tech made him uniquely qualified to take on the transformation of this highly traditional publishing company. He worked closely with the CEO and CFO, and understood that it was essential that he be able to demonstrate the value he was creating for the company through the changes he was making. A seismic shift the company faced at that point was transforming from a primarily B2C business, in which the company sold textbooks primarily to end-users, to one that was more B2B, as their products and services were now in the form of e-books, many of which were made available through third-party services. The shift required McGraw-Hill Education to refresh its entire foundation – down to its value proposition, brand positioning, and corporate narrative. Once these were re-established, they were rolled out within the organisation first, to allow employees the chance to gain understanding, alignment and buy-in, and then introduced to the public. In the textbook industry, sales are seasonal and teaching styles are personal and very difficult to influence, particularly with teachers who have been teaching a certain way for decades. Adoption was slow initially, but increasingly, technology has sped the process. Analytics can now help teachers track progress within their own classrooms, and this change has uniquely demonstrated McGraw-Hill Education’s value proposition and transformed the customer experience for the better. 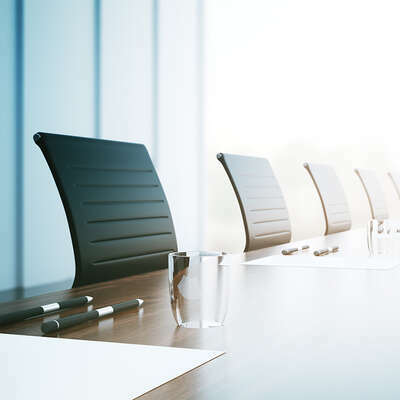 Managing the most pressing challenges in corporate governance with the right board-CEO relationship and board composition. Using CRM tools to gain a nuanced understanding of customer preferences, optimize business processes, and realize transformation.